We love to meet fellow Fools and exchange ideas. As you can imagine, we get a lot of requests for office tours or visits. 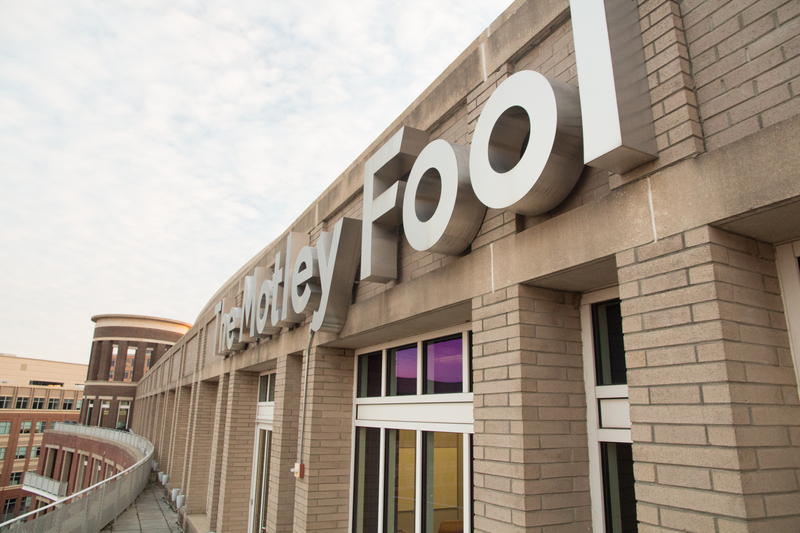 While we aren’t able to accommodate every schedule, we do have two ways that you can visit Motley Fool Intergalactic Headquarters in Alexandria, VA.
Are you a member of one of the Fool’s investing services? Contact us directly to inquire about a 15 minute tour visitus@fool.com. You’ve heard of the Fool’s unique culture and you want to bring some of our special sauce back to your company. 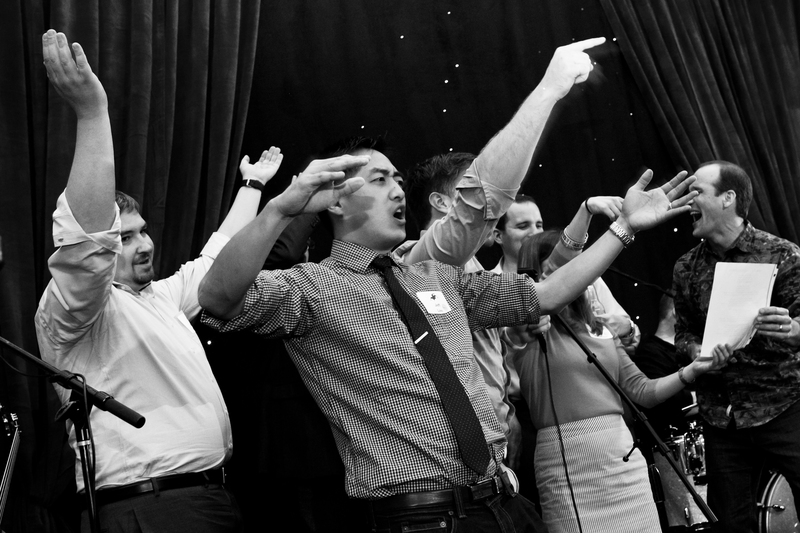 Come meet with our HR team — we want to share Foolish best practices with you! 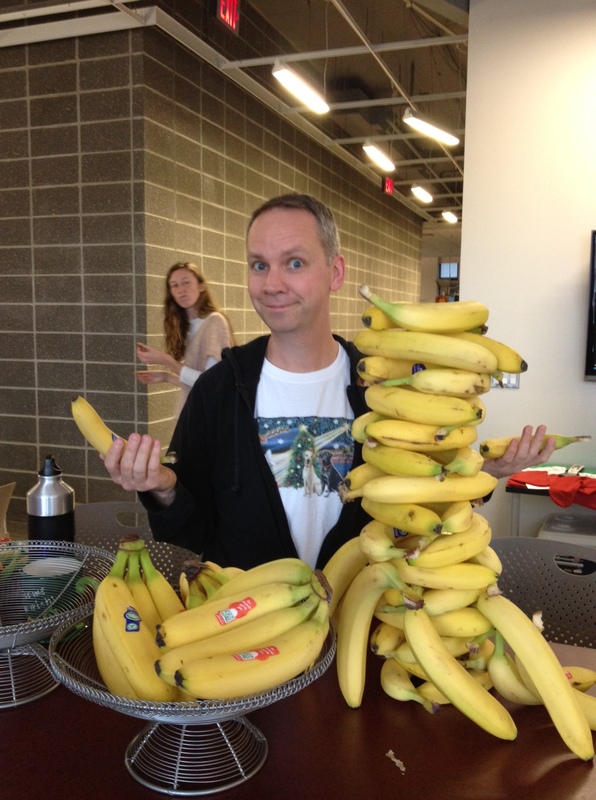 Join us for First Friday Workplace Foolosophy Tour and discussion led by HR Fools. We’ll talk about workplace satisfaction, employee engagement, benefits, feedback, and more. These tours are held on the first Friday of each month from 9:30-11 a.m. Sign up here! 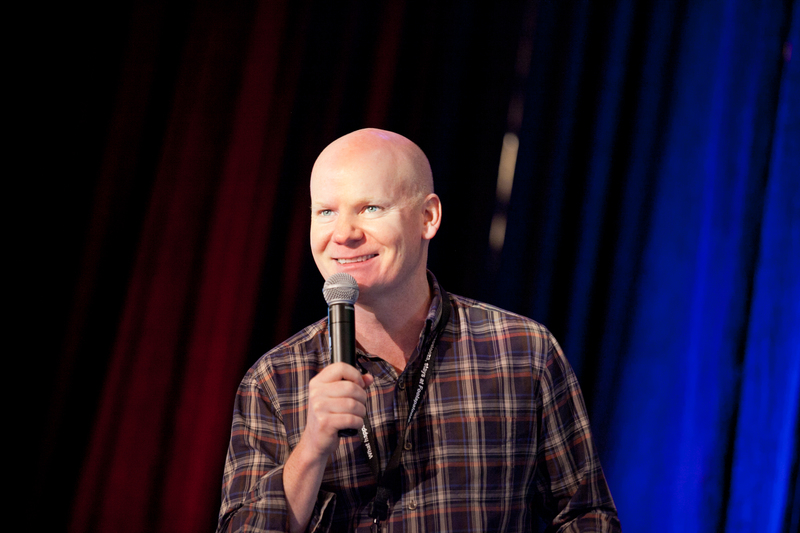 Tom Gardner Is One Of The Highest-Rated CEOs in DC! Glassdoor.com ratings confirmed what we have known for a long time: Our CEO, Tom Gardner, is much loved by Fools. According to Glassdoor, Tom is in a three-way tie for highest-rated CEO in the DC area, with a 100% approval rating. Fool on, Tom! The Fool is Glassdoor.com’s Top-Rated Employer in the DC Area! We’re excited to share that The Fool is Glassdoor.com’s top-rated DC-area company! Want to join one of Washington’s best places to work? Check out our current job listings at the top right of this page. We’re looking for new talent to come on board! Check Us Out in the Wall Street Journal! While we love seeing press about our lack of a vacation policy, encouragement of office fun, and all the other unique things about our workplace, Fools were abuzz this weekend about being recognized by the Wall Street Journal about one thing we hold near and dear: Our Purpose, which is to Help the World Invest Better. There’s a lot of investing advice out there that advocates doing whatever you can to make a quick buck. But for 20 years, The Fool has taught our members a different investing method – a method that calls for a calm, measured approach to choosing great companies and investing in them for the long term. Recently, three of our subscription newsletters were ranked in the top three of Hulbert Financial Digest’s list of investment-advisory services, and the WSJ wrote about their take on our buy-and-hold strategy. Because a long time frame works to your advantage when it comes to the stock market, it’s never too early to introduce investing concepts to the next generation. The Fool’s Jason Moser is featured in a different article, offering ways to help even younger children get excited about investing. We believe that discipline and a long-term view makes investing more meaningful, more fun, and in the end, much more successful! Honesty has a beautiful simplicity. This straightforward value gives us a framework for making decisions companywide. In a company built on intellectual capital, with the stated purpose of helping the world invest better, honesty is essential. We chose our words here carefully: Make. Us. Proud. Not “Don’t break the law” or “Tell the truth” or “Call ‘em like you see ‘em.” For us, honesty has to go beyond what is legally defensible. Now – as promised in my first post, here are the answers to our values questions. Do we hire for this value? Instead, I ask prospective employees: Tell me something you’re proud of. A time that you had to be honest when it wasn’t easy. A time that there was a difference between what was right and what was legal. Will we fire for this value? Can you see and feel this value in our office? Many of the same ways we encourage collaboration also foster honesty. Everyone’s desk occupies the same open office, and our conference rooms have glass walls and doors. We also build honesty into our services, displaying our returns since recommendation on the front page of our web site. Some are up, some are down — but we don’t cherry-pick the winners. We also display returns for specific recommendations throughout the office, and change the returns as the stock price moves. Some months those are higher; some months, lower. How often do we talk about this value? When was the last time we did so? Similar to Innovation, I actually hear “make us proud” more frequently than “core value honesty.” But our CEO has recently taken this value to the next level by hosting a monthly Honest Tea. At this session, which follows our monthly all-company meeting, everyone is encouraged to come and dissent. We want to ensure that we have not only a desire to be honest, but also an outlet for those thoughts. Please note that our values are not actually rank-ordered. I call this #3 to help blog readers keep track. See the full list of values at Core Values to Live By. 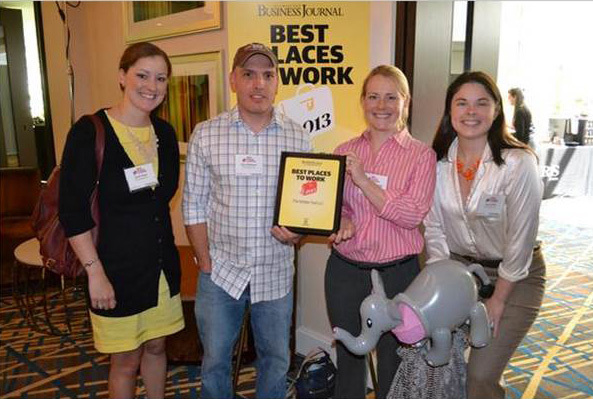 We’re proud to announce that The Fool is once again on Washington Business Journal’s Best Places to Work list for 2013! We placed fourth in the large company category. Want to join one of the DC area’s greatest companies? Our current job openings are at the top right of this page! Finance and financial management companies are some of the least consumer-friendly businesses. We hate that, and for nearly twenty years, we’ve been trying to educate people about when and where the companies that serve their financial needs are not aligned with their best interests — shining a light on the anti-consumer business practices of commission-based brokers, mutual funds with loads and hidden fees, and exorbitant interest rates on credit (to name just a few). Still, too many people are underserved and overcharged by financial professionals. While most of our efforts are focused on helping people to avoid Wall Street pitfalls, today we are announcing that we have partnered with PenFed to offer three unique credit cards that we think deserve to be in your wallet, which is something we can’t say about most of the credit cards out there. You can learn more at http://penfed.fool.com. Core Value #2 — Innovative: Search For a Better Solution. Then Top It. We want Fools to relentlessly search for better solutions and try new things. Fools should make small, thoughtful changes and double down on the winner and learn from the losers. One of our favorite books is Little Bets by Peter Sims. It reinforces our “test and learn” mentality, and I highly recommend it. 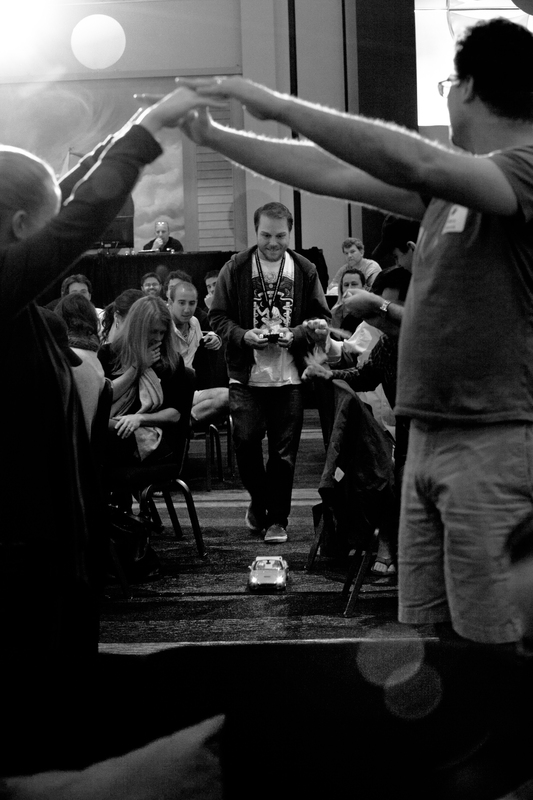 Big innovation comes in big steps and small steps, and we always want to be walking forward. Even our vocabulary and cultural habits embrace and push an innovative spirit. I hear these phrases almost every day: “test and learn,” “fail fast,” “try stuff,” “top it,” ”small bet,” “minimum viable product.” I have heard or said each of these terms in the past 48 hours. We want Fools to be bold and, most of all, to focus on solving the real problems. “Top It!” is a phrase that is a constant reminder to build a better solution. It’s easy to criticize an idea and lose sight of the problem you are trying to solve. In an instant any Fool can reframe the conversation with that two-word term – TOP IT – and we are back on track to focus on the problem we’re trying to solve. 1) Do we hire for this value? Yes. We are looking for people that want to make those small bets and top it with us. In an interview we want to hear about a time that you saw a problem and just made it better. We want to hear your ideas for our company or the job you seek. You don’t have to have solved world hunger, but show us that you like to test and learn and are open to change. 2) Will we fire for this value? I credit Zappos CEO, Tony Hsieh with putting this question in my head and pushing the idea that core values are ONLY real if they actually drive action in your organization. You demonstrate their importance if you are willing to take action to increase their presence and also to eliminate blockers to their success. If an employee is a blocker to innovation and change, it just doesn’t work. 3) Can you see and feel this value walking through the office? Yes. We are constantly innovating in our physical space, too. If you come to our Intergalactic HQ in Alexandria, VA for a culture tour you’ll see that our 5th floor is completely mobile. All of our desks are on wheels and if you come two months in a row it will look different the second time. Things change pretty quickly around here. 4) Is the value referenced frequently? When was the last time? Also pretty cool that we’re encouraging employee ownership – I think. Now – I encourage you to TOP IT! How do you drive innovation in your company? Give me some ideas in the comments. The Fool Culture Club shares a lot of interesting reads with our team — and we want to include all of you! Follow @FoolCulture on Twitter for links to corporate culture articles, business books we’re reading, and photos of Foolish office shenanigans. We give Culture Tours on the first Friday of each month. They begin with our core values and collaborative is always the first. 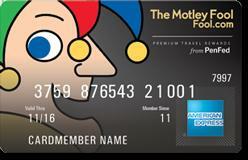 Why is it a core value: The Motley Fool was founded in community. We are better investors because we work with our members. They have experiences and knowledge that we don’t. This translates to our working environment as well. Union gives strength. Our decisions are better when we work together. Fools are more productive and satisfied when they know each other. We gain energy when we are all working together to achieve the same goals. We take this seriously. In fact, we have a Chief Collaboration Officer. 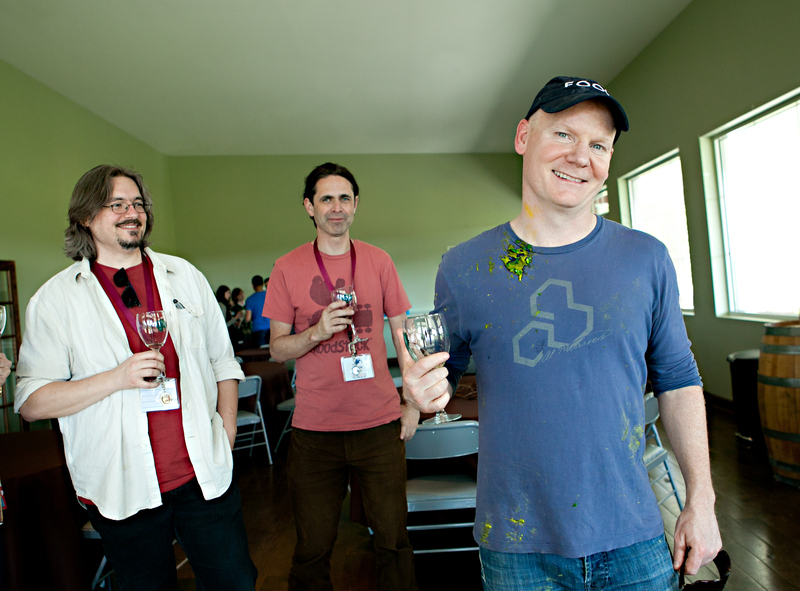 Long time Fool Todd Etter works full time to help us get to know each other and work together in creative ways. Yes! We want to see it in the candidate we are interviewing and demonstrate its importance to them. Interviews at The Fool usually involve 4-8 interviewers and they all have a say in the hiring process. We also have a special part of the interview conducted by the “Foolish Ambassador.” This is a Fool from another department who wouldn’t be working closely with the candidate who gets hired. This Fool assesses Foolish Fit and core values. A software developer might interview a stock analyst or an accountant might interview an editor. This is an important question, but it will be hard to answer for all of my posts. I don’t like to think about times when people haven’t been able to embrace our core values, but, alas, sometimes it happens. Collaboration is such an integral part of who we are as a business that, ultimately, people who don’t embrace it just won’t work out. Here is a hypothetical example of how this plays out here: Morton is a brilliant designer. He has a lot of excellent experience and keeps up to date on the latest trends. He also thinks he has all the right answers (after all, what does the scrum master know about design?). He works with his head down for weeks at a time to produce “the perfect” project that he unveils with a big “TA DA!” By the time he’s done, he has strong sense of ownership and reluctance to accept constructive feedback. But instead of applause, his fellow Fools are confused and frustrated. While he was heads down, the project evolved and the design no longer addressed the needs of the project. Even worse, he’s not willing to listen and make the needed adjustments. He is frustrated with the team and they are not impressed with his lack of collaboration. Great Fools don’t “TA DA.” They seek input early, often, and from a variety of sources. It’s almost impossible not to see collaboration when you walk through the office. We have no private offices and most of our desks are on wheels, so teams can easily push their desks together to work on a project. Frequently you’ll see several Fools playing pool or sharing stories from their recent vacation. 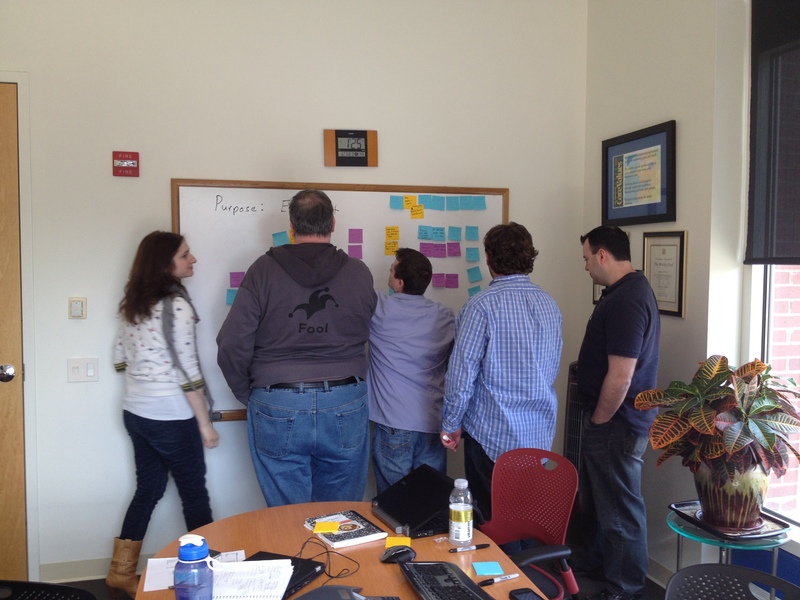 There are also a lot of white boards with people huddled around them, discussing what they’re working on that day. Mark K: Hey Fools: if there’s an empty dishwasher right next to the sink, why are there always dirty dishes in said sink? A conundrum, wouldn’t you agree? Peter V: I commented on this to Anthony just a few days ago! It just doesn’t seem Foolish to expect someone else to clean up after you, does it? Tom: OTOH, collaborative is a core value. Let’s be collaborative on this blog post. I certainly don’t have all the answers. How do you collaborate in your office? How can we top it?